46 women came forward to claim that Bill Cosby sexually assaulted them. 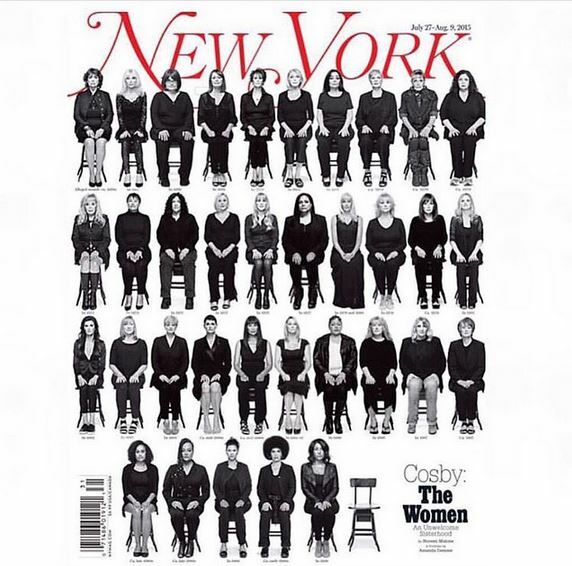 After the said Cosby bombshell, “New York” magazine features 35 of these women to be on its cover. The upcoming issue cover in black and white shows the women seated in rows with the date of the alleged assault underneath them. The magazine’s issue contains the text – “Cosby: The Women, An Unwelcome Sisterhood.” Among the women are Janice Dickinson and Barbara Bowman. All the women featured shared their story of trauma and survival. These women were interviewed separately but according to the magazine, the stories have remarkable similarities in their descriptions of the alleged incidents and the way they felt in the aftermath.